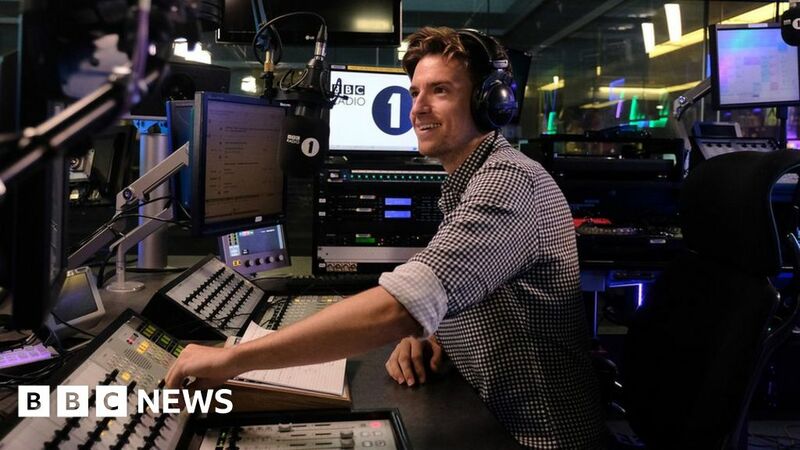 Greg James has taken over the Radio 1 Breakfast Show. The 32-year-old has presented the drive time programme for the last six years but has now swapped jobs with Nick Grimshaw. Here’s what we learned from his first day in the new job. There had been a lot of talk about what the first song on the new Radio 1 breakfast show would be but Greg left it to the listeners to decide. “You’re a huge part of this show, you should pick the first song,” he said. Listeners were given 30 seconds to text in and Levels by Avicii was the chosen song. It was similar to the ten-minute takeover which Greg used to run on his afternoon show. Just like the music, there was a lot of talk about who the first guest to appear on the new show would be. Lauren from Blackpool had contacted Greg before the start of the show to make a suggestion. She works at Blackpool Zoo and had said the zoo’s two male lions should be Greg’s first guests. The lions were woken up with some food prior to their radio debut. “Let’s wake up some lions, and then wake up the UK with some roaring,” Greg said. He also had something else up his sleeve, and it was pretty big. Greg opened the show by introducing himself. “My name is Greg James and I love radio more than anything else in the whole world. It is the best thing. It is there when you’re happy, it’s there when you’re sad. It cheers you up, it makes you laugh, it sums up moments in your life. Greg said hello to his existing listeners, while welcoming new ones. Greg also shared a throwback picture of him in his student radio days in 2005. Greg arranged for the comedian Joe Lycett to answer the phones for the first morning of the new show. He’d already hinted that guests would play a bigger role when he took over at breakfast. Joe read out good luck messages which listeners had texted in for Greg. “I want to speak to more of you. Get in touch. If you’re driving, be safe. Let’s not be dangerous, it’s the first show of the week,” he said. Greg wanted the Red Arrows to perform but said he couldn’t afford to pay for their planes – so he arranged for the pilots to ride bikes instead. The RAF aerobatic team each rode a fold-up bicycle, leaving red, white and blue smoke trailing behind them. Joe Lycett commentated on the display from outside the BBC’s New Broadcasting House in central London. “There’s a real sense of occasion,” the comedian said.